Running a little behind here yet self-employed and self-published so I’m the only one losing any sleep over this, big huge problem. won’t these look better than denim on warm summer days? 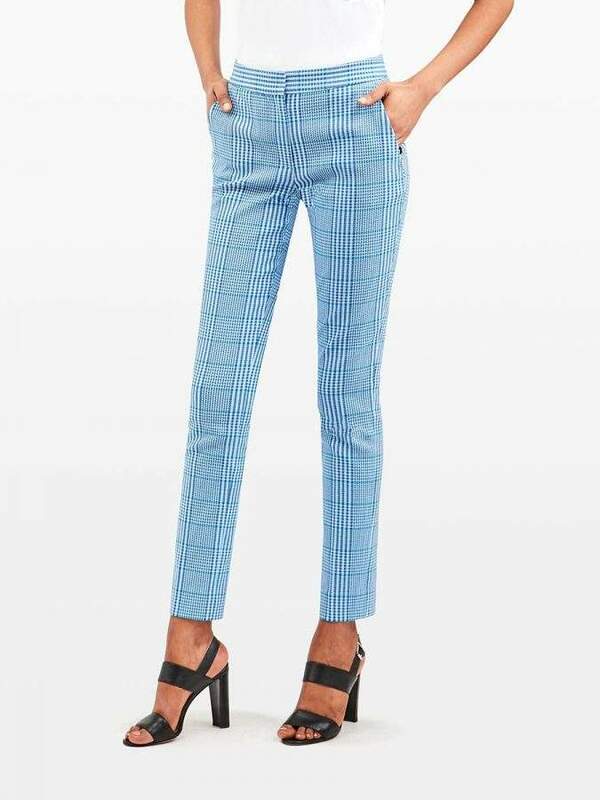 In the interim I have found the summer pant: intricate textured stretch jacquard Italian style pant in yarn-dyed stretch cotton in an on-trend plaid and stripe combination. Tried them on in the studio with twenty-six-year-old daughter, she loved them too, added them to doctor client’s order this morning, and placed my order this afternoon. Thinking these are the perfect dress-up run-around version of denim pants that I default too way too often. These are 76% cotton, 20% polyamide, and 4% elastane, giving them incredible wear and ease. I’ll pair them with a white blouse or tee and navy cashmere something, crew or cardigan if needed. 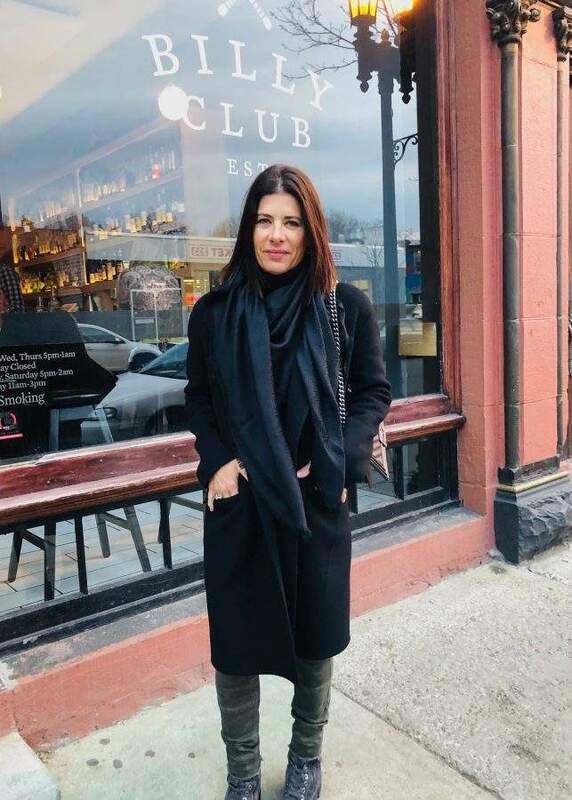 What I was really wearing as it’s still cold was a navy cashmere turtleneck hello late March, current favorite camo jeans, black scarf, black coat, and combat boots. All wardrobe classics and things that will hang around. The coat is Celine from before Phoebe left, and the scarf is Fendi from before Karl passed, both gifts from husband, and both things I’ll keep and wear until threadbare. We ate out that night at Billy Club, and I had market salad as you can never have enough green things and Bolognese as I make it often and am constantly trying to improve it, therefore trying it wherever it is served. Chef added rosemary, thyme, and a bit of lemon, three aromatics I’ve never tried. House made tagliatelle pasta was divine. Started with a tequila Three Stacks cocktail because I’m kind of wondering just how much wine I can drink…. It was a great meal and a fun night out. Every day dress: clothes, fun plaid pants and kind of all black, food: dinner out at Billy Club.